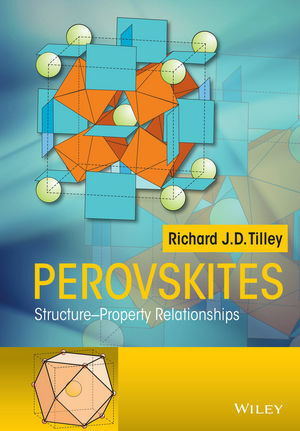 Uniquely describes both the crystallography and properties of perovskite related materials. Richard J. D. Tilley, D. Sc, Ph. D, is Emeritus Professor in the School of Engineering at the University of Cardiff, Wales, U.K. He has published extensively in the area of solid-state materials science, including four books for Wiley, 180 papers, and 15 fifteen book chapters.